Venice Regional Bayfront in Venice, Florida, is seeking an EXPERIENCED NP/PA to join multi-specialty group of employed physicians ("Gulf Coast Medical Group") who are aligned w/ hospital. Group's primary care base strongly supports all sub-specialties w/in the group. REQUIRE candidate w/ 2+ EXPERIENCE in primary care and enjoys the pace of a busy clinic, variety of issues, and opportunities to educate patients and families through their health needs. Florida does not have a personal State Income Tax. Competitive Financial package (to include salary) and generous benefit package. Situated on the Gulf of Mexico, Venice is known for its friendly, small-town feel, its charming downtown shopping area and its elegant boulevards shaded by giant oaks. Business, culture and natural beauty all coexist peacefully in this region of the Gulf Coast, where the beaches and blue skies stretch for miles. A central park along Venice's main street is the site of regular concerts, arts and crafts shows, and special events, while numerous other gardens, green spaces and nature trails can be found throughout this charming community. 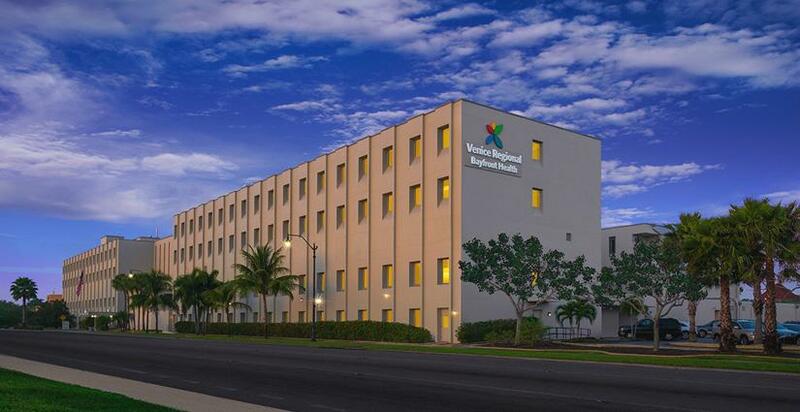 Venice Regional Bayfront Health is a 312-bed, regional healthcare system that provides a comprehensive array of medical services to the greater Venice area. Always striving to meet the area's growing healthcare needs, the system has steadily expanded to include a number of facilities offering fully integrated health services. In addition to an acute-care hospital, Venice Regional Bayfront Health's healthcare network includes comprehensive cardiac care, ambulatory care and home health services. The hospital has been recognized for general surgery, its Top 100 cardiovascular program and its well-respected joint replacement program.